Listed Vienna Insurance Grop (VIG) downsizes its stake in Austrian construction company Porr, which is also listed at the Vienna Stock Exchange. At the beginning of this year the Financial Market Authority (FMA) in Austria has activated a “whistleblower hotline” for bank insiders to report about potential abuses. According to a survey, Polish citizens lack in trust in insurance companies. 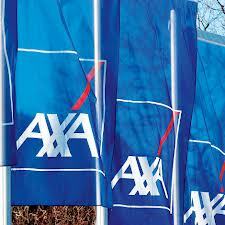 Austrian Vienna Insurance Group takes over 100% of AXA Hungary. Sorin Mititelu was appointed as new CEO of Romanian BCR Asigurari de Viata. 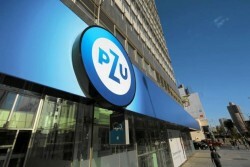 Polish insurance company PZU places a binding offer for Croatia Osiguranje (CO). Vienna Insurance Group has to find a new buyer for the Bulgarian pension fund Doverie. United Capital, the potential buyer of Doverie has lost its bank license. In 2014, the Austria state will raise capital in the amount of € 28bn to 30bn from international capital markets. This year around € 29bn were raised. The Financial Market Authority has given green light to Austrian insurance companies for handing out loans. Insurers hope for an improvement in investment income. Provisions increased by 15.2 percent in the first three quarters of the year and generated the second-highest growth rate. Moreover, the market share was extended to 12.2 percent. Yesterday, the Austrian insurance group VIG (Vienna Insurance Group) published surprisingly bad results. In Italy and Romania, VIG has a lot of work to do. 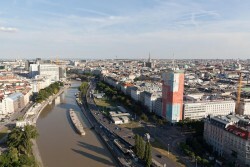 The biggest Austrian insurance group is anticipated to post lower profits. The Austrian insurance group VIG has sold the Bulgarian pension fund to an unknown investor. Bulgaria´s government wants to reverse the sale. With results increasing by almost 65 percent on a quarterly basis, Poland’s biggest insurer has exceeded all expectations. Next year’s results in the banking sector are not expected to exceed the ones in 2013. 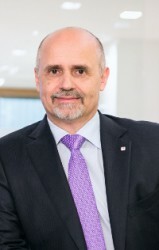 Martin Diviš named “Insurance Manager of the Year”. The biggest Slovenian insurance company planned to increase its stake in Croatia Osiguranje. Croatia´s government rejected Triglav´s offer. According to a report by “Wirtschaftsblatt”, the Vienna Insurance Group (VIG) plans to expand business activity in the Baltic States. From 2014 on, the Austrian insurance company will start conquering the Estonian insurance market. 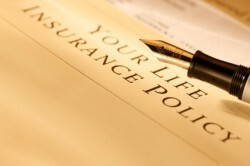 For the insurance industry, life insurance products become less and less profitable. Listed insurance company Uniqa will take over Croatian and Serbian affiliates of Swiss insurance group Baloise (Basler) to strengthen its market position in the Western Balkan states. The Slovak government extends special taxes for companies operating regulated sectors. The bank tax will be abolished in the course of the next years. 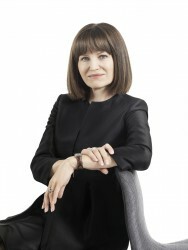 Regarding the development of the CESEE equity market, Birgit Kuras, CEO of Vienna Stock Exchange (VSE) demonstrates optimism. The second-biggest Austrian insurance group goes public again. According to insiders, the order books are closed. 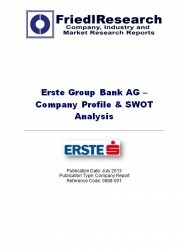 This report contains in depth information and data about Erste Group and its operations and markets. It contains a company overview, business and strategy description, financial ratios, valuation & forecast data, SWOT analysis, plus data on key events. 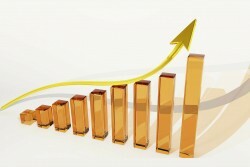 In the first half of 2013, the Austrian insurance sector registered an increasing premium income. Operating income was up substantially. FriedlResearch has announced the publication of the latest edition of the "Raiffeisen Bank International AG - SWOT Analysis & Company Report". This report contains in depth information and data about RBI and its operations and markets. Vienna Insurance Group successfully launched a subordinated bond. The insurance industry saw a strong decrease of business of 13 percent in only four years. The Austrian insurance group plans a capital increase of € 750m. Uniqa´s CEO Andreas Brandstetter underlines the growth story in Central, Eastern and Southeastern Europe. Credit insurance company Coface has for the fifth time published a study about the Top 500 enterprises in Central and Eastern Europe. The second-biggest Austrian insurance group resolves on capital increase and announces price range. Proceeds will reach about € 750m. In view of the current interesting environment for corporate bonds, management of VIG considers a subordinated bond transaction. The second-biggest Austrian insurance group plans has ambitious growth plans. 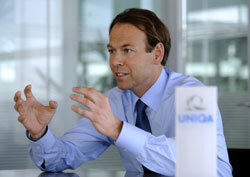 The capital increase will bring a substantial change in Uniqa´s shareholder structure. 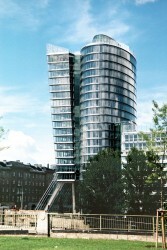 Due to lower costs and provision profits of the Austrian bank Bawag increased. 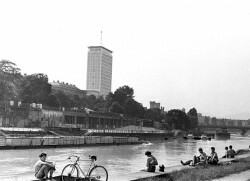 From the coming year on the bank intends to pay back further state aids and plans on further withdrawing from CESEE. This report contains in depth information and data about Raiffeisen Bank International AG and its operations and markets. It contains a company overview, business and strategy description, financial ratios, valuation & forecast data and a SWOT analysis. The Austrian insurance group wants to put effort into selective growth. The CESEE region still has a remarkable substantial, CEO Brandstetter explains. 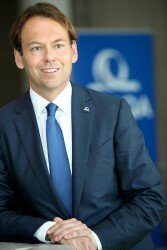 Andreas Brandstetter, CEO of the Austrian insurance group Uniqa, thinks that Central and Eastern Europe will recover. UNIQA successfully places €350 million supplementary capital bond. 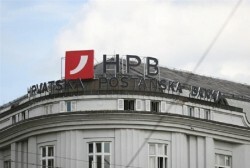 According the Poland´s National Bank NBP, the profitability of the Polish banking sector is expected to decline further. Uniqa Serbia starts 2013 with strong growth. 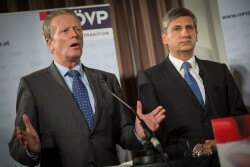 Austrian Economy Minister Reinhold Mitterlehner met his Romanian counterpart Varujan Vosganian in Vienna. Austria’s biggest insurer estimates with net costs double the amount than in 2002. After years of looking for an opportunity to invest further, PZU, Poland’s major state-owned insurance company, is focusing on aquiring a controlling stake in Croatia Osiguranje. Enterprises in CESEE countries remain cautious for the most part. Croatia’s seventh biggest bank and biggest insurance company will soon be privatized. The selling of the stakes is supposed to generate up to € 300m for the state budget. Because of increasing losses 450 employees will be made redundant. 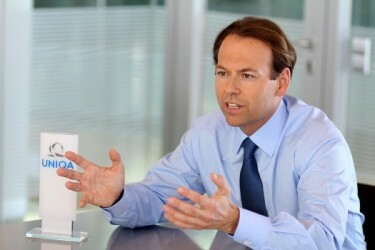 Allianz Austria was able to continue its upward trend and gained around 20,000 new customers in 2012.